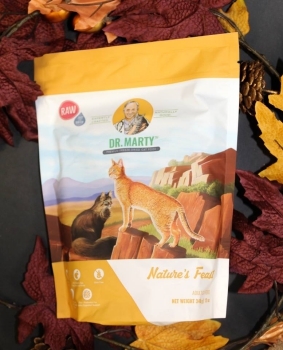 So there’s this buzz about a product called Dr. Marty Nature’s Feast Cat Food for the past few months, which made us write this Dr. Marty Nature’s Feast Review for our beloved readers. Apparently, it’s a cat food product by a celebrated veterinarian Dr. Martin Goldstein, or simply Dr. Marty. Dr. Marty Pets specializes in providing high-quality dog and cat food supplements as well as pet health supplements. 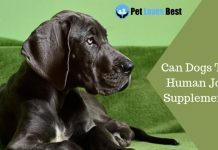 Their limited line of food supplements is currently being well appreciated by pet owners all over the United States. So What Is All This Buzz About? The cat food, as we already mentioned is raw, freeze-dried nutritious food. And well, of course, it is dry, which feels crunchy taken out of the packet. Adding a little bit of water easily converts this dry food into a wet cat meal, making it more edible as well. The food has quite a room for you to add some water and create a delicious gravy. In my opinion, use hot(not boiling) water up to directed amount or a little more(whatever your kitty prefers) to create a fine meal. Dr. Marty Nature’s Feast is not only nutritive but tasty as well making it desirable for all the cats that tend to avoid meal times. Finally, Dr. Marty Nature’s Feast is a little bit steep on the price tag being a premium category product. 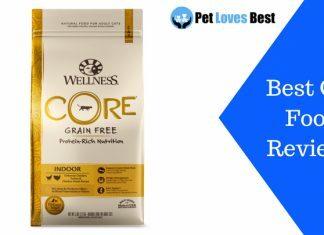 However, on your cat’s likes and dislikes for Nature’s Feast Food, Dr. Marty claims that this powerful blend of all wholesome ingredients cooked just perfect will make a significant difference in your feline’s life. And if the cat doesn’t like the food or you think it didn’t make any difference in your kitty’s life, you can actually send them the empty bag within 90 days of purchase and get a 100% refund! Talking about Dr. Marty Nature’s Feast, it’s a premium cat food product that comes with a nutrition rich diet. Ingredients: Turkey, Beef, Duck, Salmon, Flax, Beef Liver, Turkey Heart, Turkey Liver, Sweet Potato, Eggs, Pea Flour, Carrots, Apples, Blueberries, Cranberries, Pumpkin Seeds, Spinach, Ginger, Salt, MixedTocopherols. 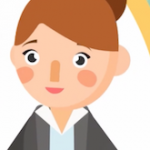 The brand follows a strict rule regarding the use of natural food ingredients in its products. 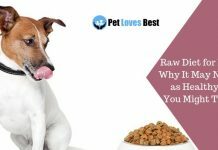 Nature’s Feast is a freeze-dried raw cat food that keeps about 99% of the nutrients in the food intact so that your cat receives the best possible food. Using fresh veggies, fruits, and raw meat make Dr. Marty Nature’s Feast the utmost wholesome diet food for felines. 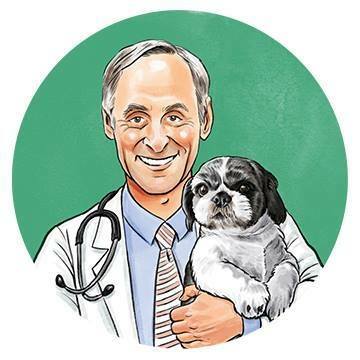 Dr. Martin Goldstein, whom we already talked about, is an American veterinarian who has done a commendable work regarding pet health and nutrient supplements. His book The Nature of Animal Healing has been critically acclaimed for groundbreaking research on a long and healthy life of pets. 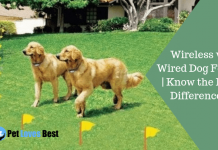 He believes in the combination of both traditional and integrative line of medicines for the best practice and follows the same for his unique pet food recipes, which is evident with Nature’s Feast and other Dr. Marty Pets products. 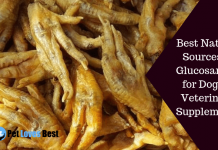 In this carefully prepared recipe, you will find some highly nutritional protein-rich supplements such as Turkey, Salmon, Duck, Beef, and Eggs. Moreover, there’s also a mention about Turkey Heart, Liver and Beef Liver in the formula used for Dr. Marty Nature’s Feast cat food. No need to mention that Turkey Heart is a high protein, low fat, and almost no carb food source and so is the liver with a high liquidity ratio. Further, everyone knows that beef liver is a nutrient-rich superfood, duh! Moving on, Dr. Marty Nature’s Feast for Cats also has fruits and veggies such as Flax, Ginger, Blueberries, Pea Flour, Pumpkin Seeds, Carrots, Sweet Potato, Apples, Cranberries, Spinach, and more included in the recipe for all-around nutrition of your cat. Lastly, looking at the diverse range of ingredients used in Dr. Marty’s Cat Food, it’s obvious that Nature’s Feast is a well-planned meal for all the felines out there. Nevertheless, all the food ingredients have been chosen such that it’s safe for all the kitties. So no need to worry about cat-sensitive food. Dr. Marty Pets has a pretty limited yet well-executed product range for both cats and dogs. Though the cat nutrition range currently only offers Nature’s Feast, the dog nutrition range has products like Dr. Marty Nature’s Blend – a wholesome dog food, and dog health supplements for digestion and joint wellness. To find out more and purchase the product click here! Well, this was my Dr. Marty’s Cat Food Review. It holds up pretty well in both nutrition and taste aspects. 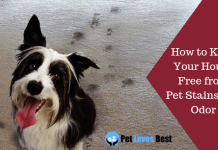 All in all, this product is a must-try for all the cat owners out there to witness some pretty astounding results just like hundreds of other feline parents. Have you already tried this product? If yes, give us a comment below about your opinion. they do not ship to Europe. By trying to find another solution I discovered your site where among 10 brands also Dr Marty’s was mentioned. therefore there should be no major problems for the exporter than preparing the documents. No, It is not possible. They deliver within the US and Canada only. 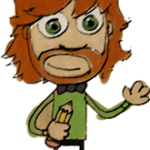 Hi Roland! Kat from Dr. Marty Pets here. Currently Dr. Marty Pets only ships to the United States and Canada. We do not authorize the sale of Nature’s Feast or any of our other products by international vendors, and would advise against the purchase of these goods as they may be tampered with or counterfeit. However, please do keep in touch as we expand and provide nutrition for pets all over the world. Feel free to e-mail me at kat[@]drmartypets[dot]com if you have any more questions. Dr. Marty is talking about dogs only. I have a cat. What you recommend for him? Where do you order your food for cats? Thank you. Hello Judith. I’m Kat with Dr. Marty Pets. 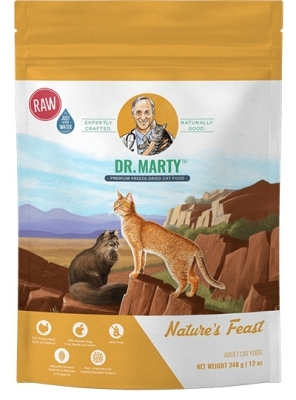 Dr. Marty has recently formulated a new raw food blend for cats named Nature’s Feast. Please e-mail me at kat[@]drmartypets[dot]com if you would like more information on ingredients and how to order. Is this cat formula tailored towards outdoor cats or indoor cars? Hello Beth! My name is Kat and I’m with Dr. Marty Pets. We advise you to check with your cat’s veterinarian regarding on the nutritional needs of an indoor cat versus an outdoor cat. Please e-mail me at kat[@]drmartypets[dot]com. 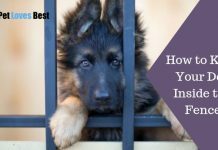 I would be happy to provide you with nutritional information so you and your cat’s veterinarian may make the right choice. Have two cats need to know how much to feed a 2 year old 14 pound cat and a 1 year old 7 pound. This is important to know when ordering. How many feedings in a 12 oz bag? Hi Janet. I’m Kat with Dr. Marty Pets. Since all cats are different and range in appetite, weight, and activity, servings may vary. We have a feeding recommendation chart on the Nature’s Feast website (https://drmartypets.com/product/natures-feast/). For example, a 14-pound cat can get 1 ⅛ cups per day whereas a 7-pound cat can get ⅔ cup per day. We always recommend that our customers consult their pet’s veterinarian before making a dietary change. In the meantime, please feel free to reach out to me at kat[@]drmartypets[dot]com if you have any other questions. … did find the recommendations for feeding. The bag is gauged in ounces and the servings by the cup. That is an irritation. I’m trying to determine the number of servings per bag. Please help. Thank you. if you give 3/4 cup a day that equals 6oz. So it would be 2 servings depending on their recommendations. My cat gets 3/4 cup of SO Royal canine a day. Maybe less since it is freeze dried.